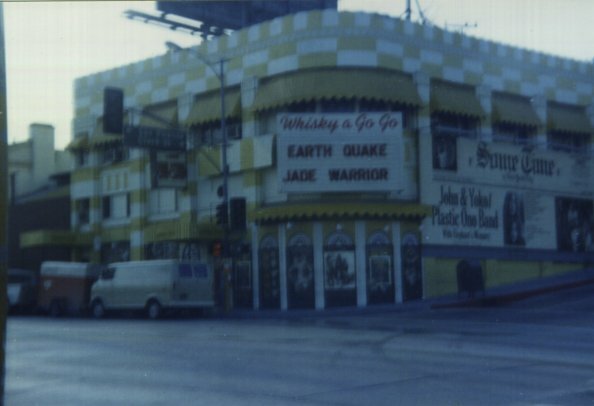 The front facade of the Whisky a Go Go in Los Angeles, during Jade Warrior's American tour in the summer of 1972. The photo was apparently taken during the latter part of the band's gig at the Whisky, since the two band names on the marquee are in the same size type. Photograph courtesy of David Duhig.